Leap of Faith :: Movie Information :: RabbitTV GO! 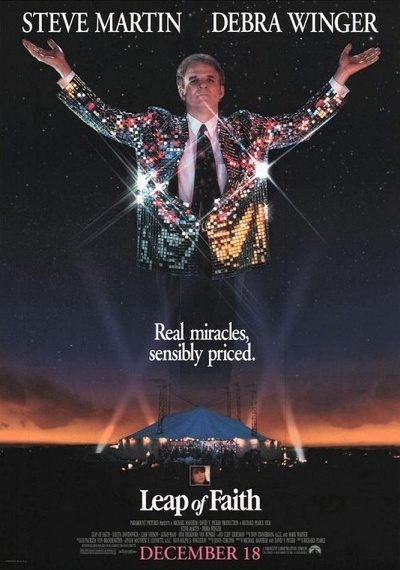 A bogus faith healer shakes up a small Kansas town in this comedy-drama that features a standout performance by Steve Martin. While he's conning the townspeople, his assistant, Debra Winger, is busy sweet-talking the local sheriff who wants to close the show down.